Powerful and lightweight cordless brush cutter for working on large areas of tough grass. 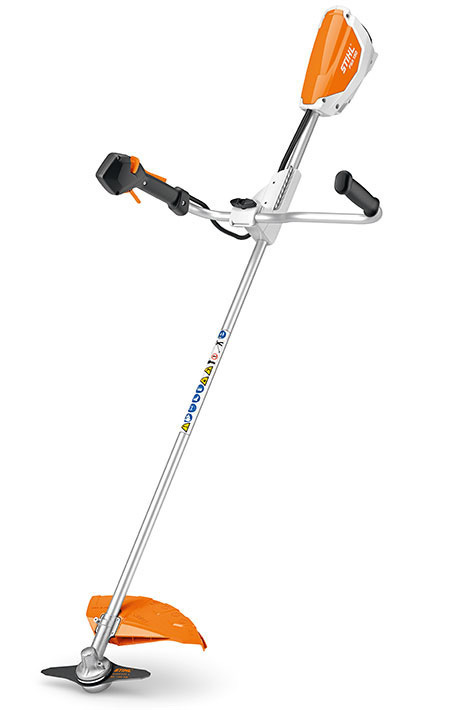 Cutting circle diameter of 260 mm with grass cutting blade, adjustable with 3 power settings, bike handle. 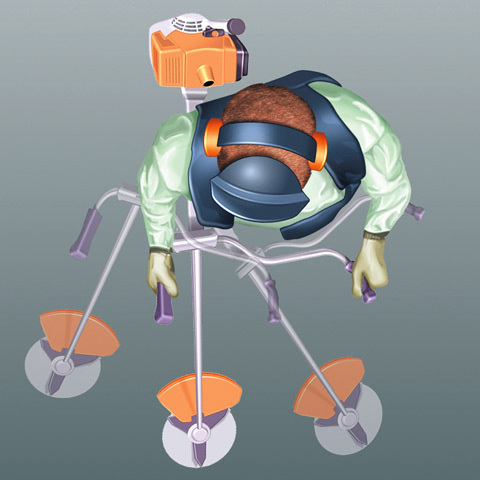 Suspension device for carrying the tool with a backpack AR battery or AP carrying system. 6) Battery life times are approximate and may vary depending on application. For your safety, the glasses are well ventilated and have a wide side protection. Double line, for mowing and thinning work. Mowing lines are extended by hand. Double mowing line head for trimming and thinning work. Mowing lines are automatically extended when the mowing head is tapped on the ground. 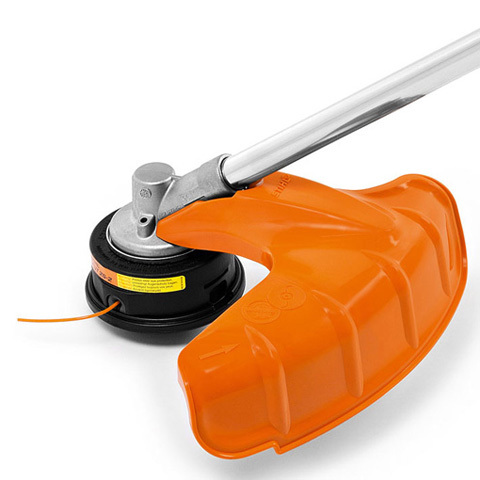 Easy loading system for quick and simple line refill. 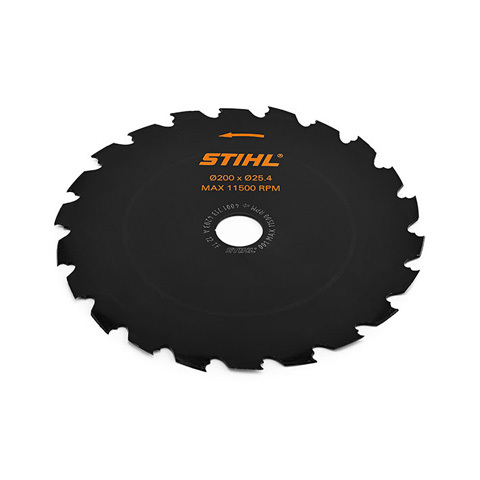 Featuring a low profile for more control and more precise trimming results. 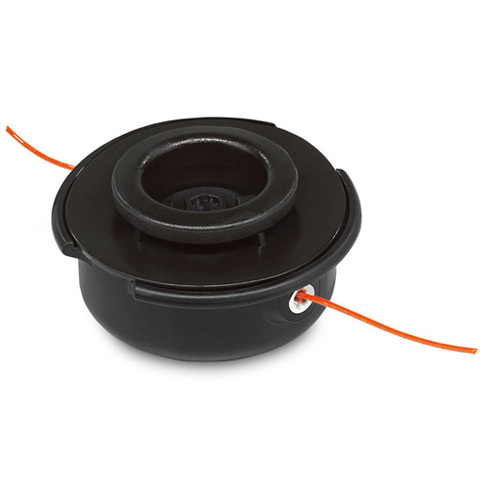 Compatible with line diameters of 2.4mm and 2.7mm. 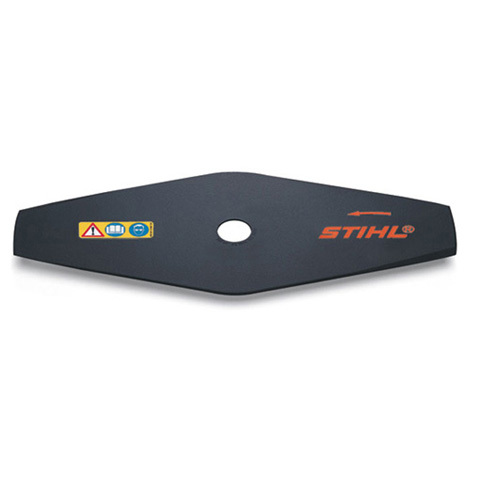 Universal cutting tool for trimming and working on large areas. With three mobile plastic blades. Double or quadruple lines, for mowing and thinning work. Up to four lines can be easily inserted. 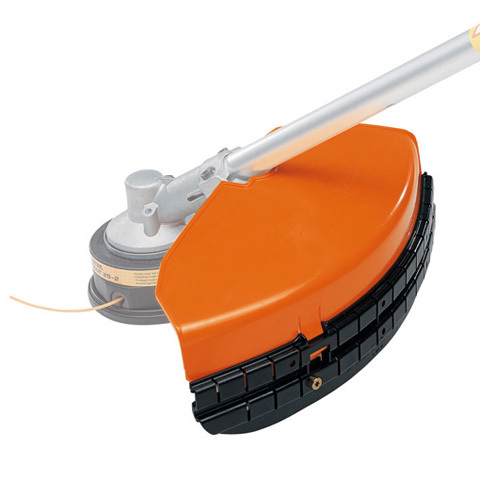 Compatible with many different sizes and types of mowing line. Steel double blade, reversible. For working on areas of tough grass. 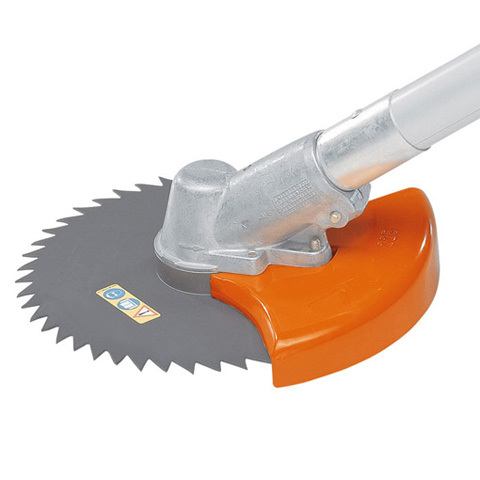 Special steel tool for mid and high-performance brushcutters. For gnarled bushes and thin tree trunks. Must be used with appropriate stop kit. Only approved for certain bike handle machines. High-Performance (HP) version. 36 V, 4.8 ah Lithium-Ion battery. 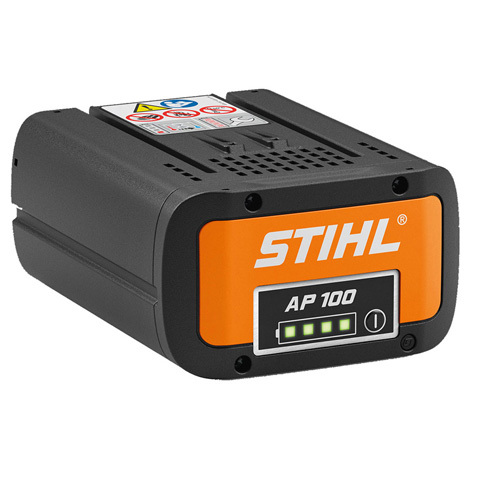 The AP 200 offers excellent run times on our cordless tools. The battery has an integrated LED charge indicator, clearly displaying as and when the battery needs charging. 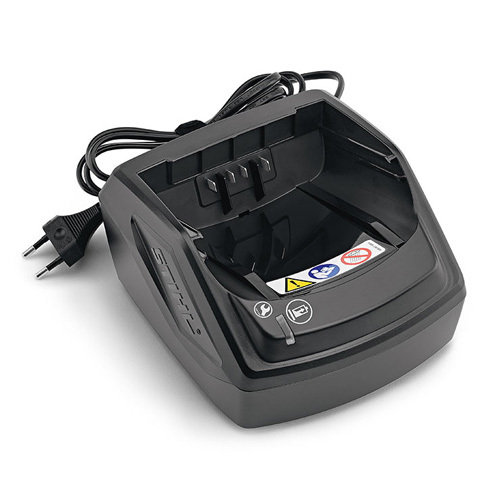 Compatible with the AL 101, AL 300 and AL 500 charger unit. Click on the technical data tab to learn more about individual machine run times. 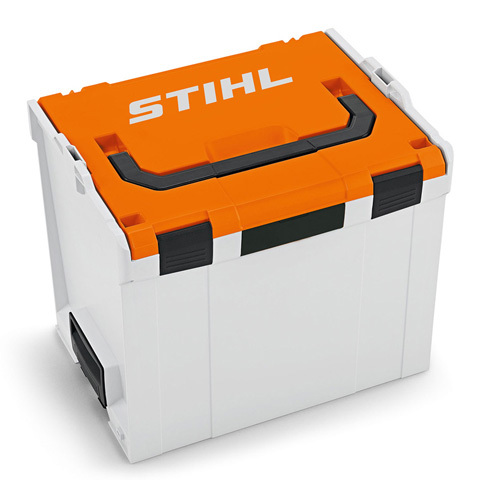 Powerful 36 V, 6.0 ah Lithium-Ion battery. The AP 300 is STIHL's most powerful handheld battery, offering increased run times for those bigger jobs. The battery has an integrated LED charge indicator, clearly displaying as and when the battery needs charging. Compatible with the AL 101, AL 300 and AL 500 charger unit. Click on the technical data tab to learn more about individual machine run times. 1) Energy content according to cell manufacturer specification. 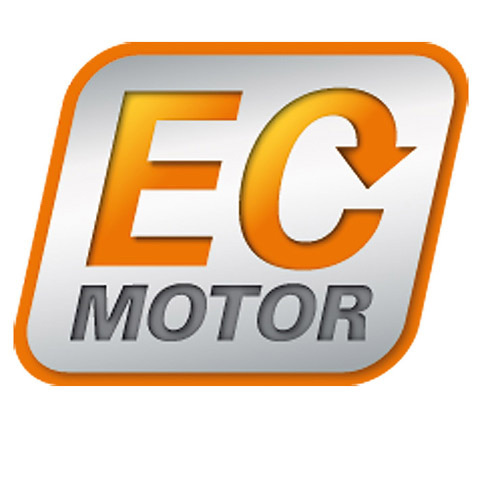 To increase the service life, the energy content available in the actual application is lower. 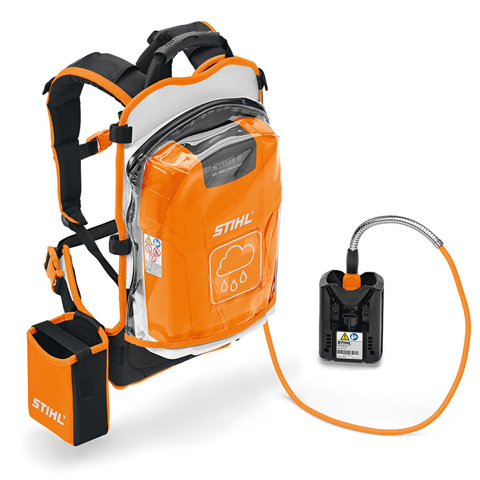 Backpack lithium-ion batteries with high capacity for longer running times. 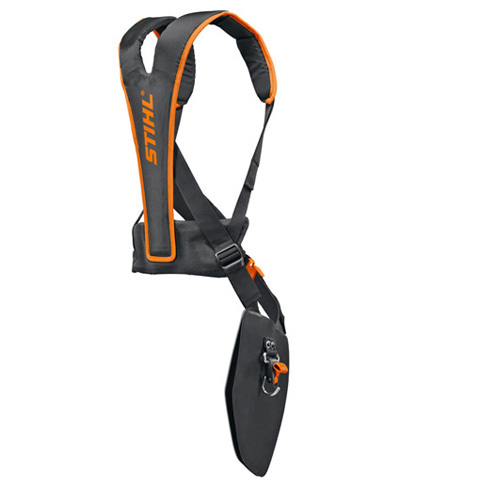 Sturdy housing with base and charge level indicator (six LEDs), comfortable and ergonomic harness with integrated carry handle and rain protection cover. 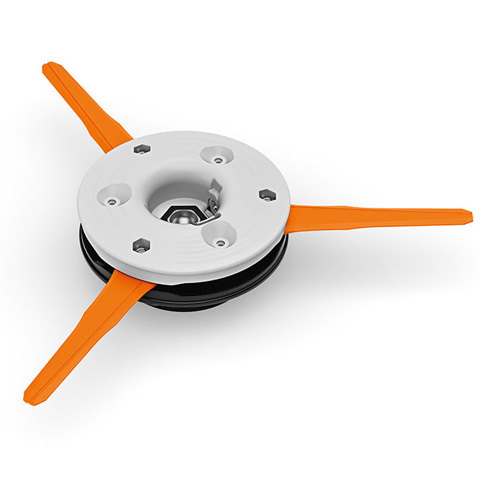 916 Wh battery energy, weight 7.8 kg. 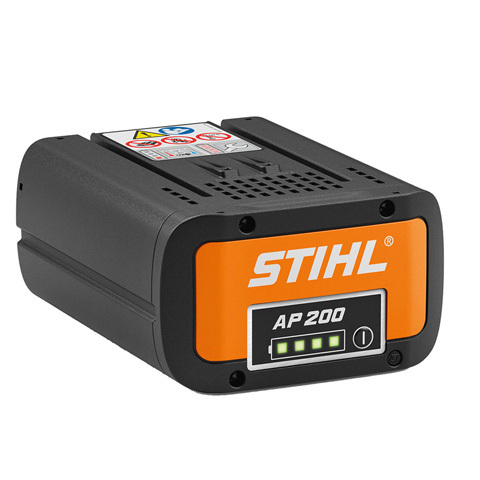 230 V charger compatible with STIHL AP and AK batteries. With operating mode indicator (LED) and passive battery cooling. 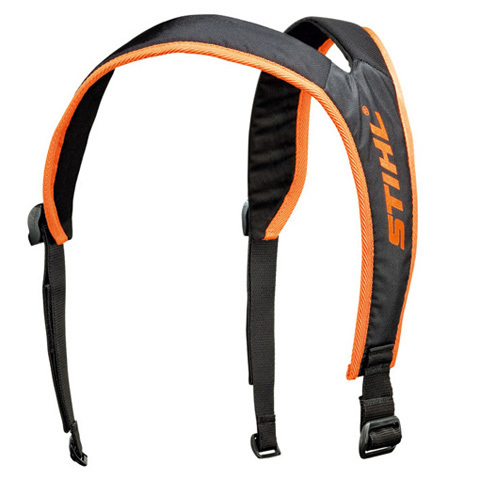 Cable tie with Velcro strap. The charger can be wall mounted if required. 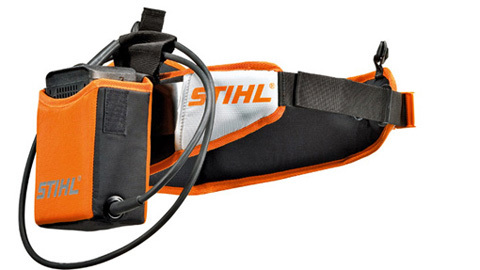 Robust and ergonomically shaped belt with storage for STIHL lithium-ion batteries to make work even easier. Carry the battery in your battery belt and reduce the overall weight of the cordless tool being held. 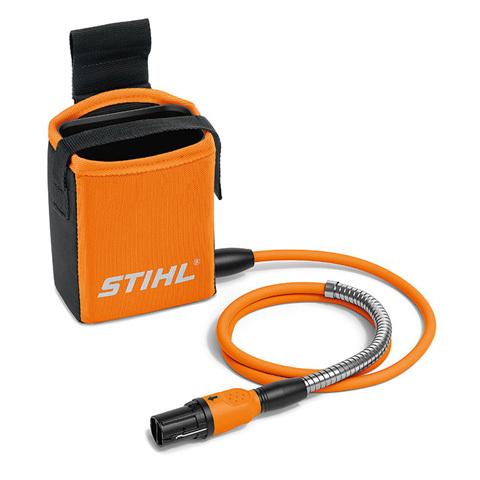 Power is transmitted via a battery adapter connected to the tool with a robust, flexible cable. 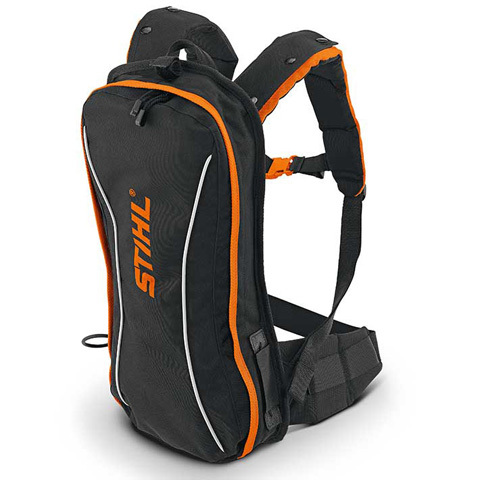 Soft bag for safe transport and storage of up to 2 x STIHL Li-ion batteries and 1 x STIHL charger. 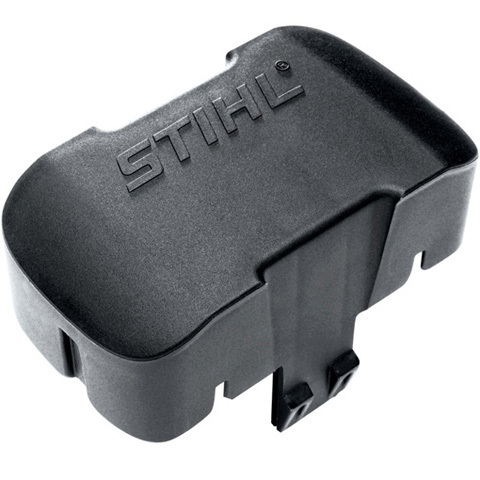 For covering the battery slot on any STIHL cordless machine. Protects against dust and dirt during long storage periods. Additional bag for attaching to the battery belt. 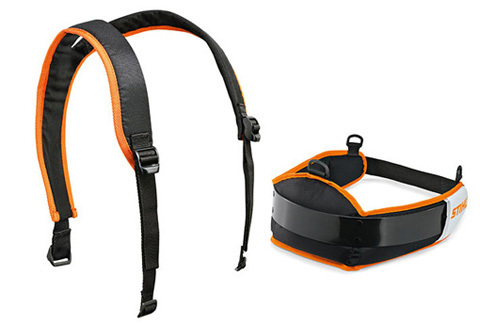 Can be used to carry more batteries or other accessories such as sunglasses and gloves. For retrofitting. With an adapter for attaching the support cushions for the FSA and BGA 100 to the AR backpack batteries' carrying system. Excellent protection against flying cuttings or stones. With or without an apron for mowing heads. Guard for working with mowing heads. Provides protection against flying debris but still enables a clear view of the area to be mown. 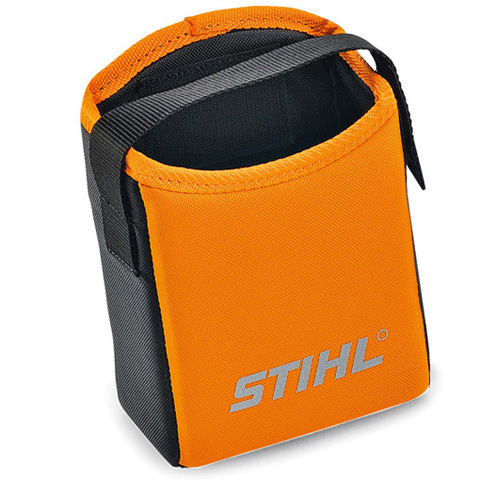 A space-saving and safe way to transport batteries and battery charger. Compatible with Sortimo L-BOXX and Sortimo Globelyst in-vehicle system. Sturdy battery box to store AR backpack battery units and charger. 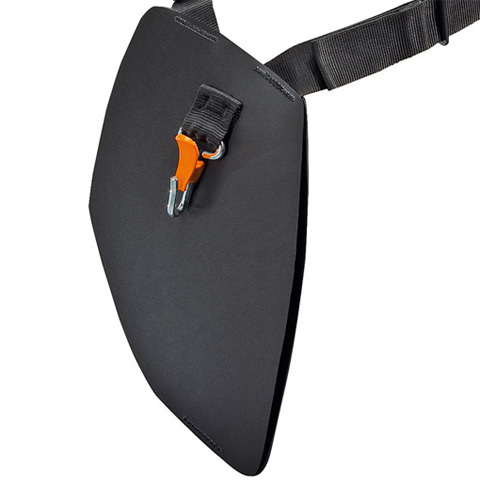 The lightweight and extremely comfortable AP rucksack is perfect for reducing the weight of the tool. Two batteries can be stored within the carrying system, one for use and one spare. It is a great alternative to the AR backpack batteries, especially for users with existing AP batteries. The rucksack should be used with the AP holder and power cable accessory (not included), part number 4850 440 5100. 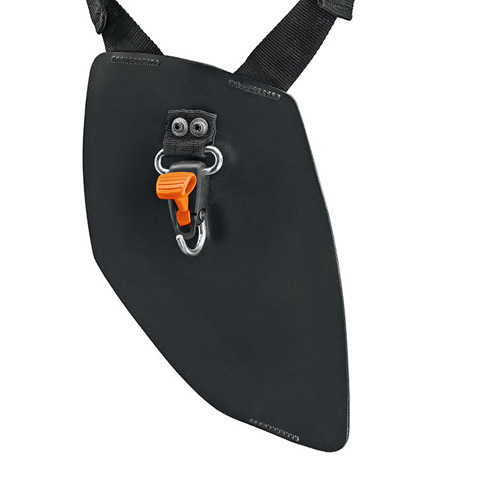 For fitting to ADVANCE PLUS harness without hooks.